The last time I saw Tony Curran, he was clad in armour, covered in mud and sitting in a trailer in the middle of Mugdock Country Park. 'Some of it is real, some of it is make-up,' he grinned, clearly unconcerned by all this grime. 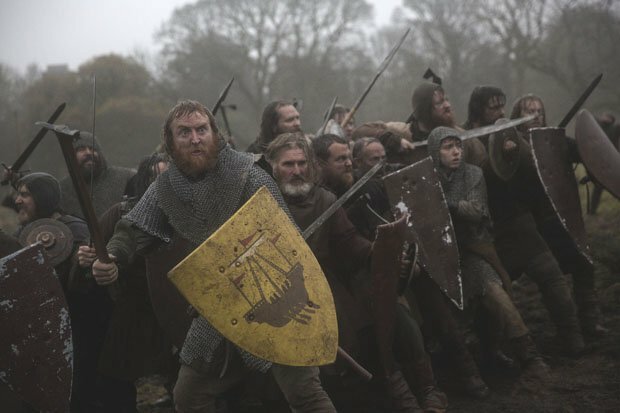 The Glasgow-born actor, who shot to fame in Andrea Arnold's 2006 debut Red Road, was between takes on Outlaw King, David Mackenzie's big-budget epic about Scotland's 14th Century warrior-king Robert The Bruce. Curiously, Outlaw King – which was bankrolled by Netflix and will appear on small screens on Fri 9 Nov – is the second film the 48 year-old Curran has worked on this year to get its release via the streaming giant. The other was Matt Palmer's excellent thriller Calibre, which won the Michael Powell Award at the Edinburgh International Film Festival before bowing on Netflix last June. It's since received five nominations at the upcoming Scottish BAFTAs – including Best Actor for Curran (his second nod in that category after Red Road). 'We're overjoyed at the response that it's had,' he says. 'Apparently a little known man called Stephen King tweeted about it!' Indeed, the horror maestro called it 'a genuine nail-biter'. Little wonder it's been a good year for Curran. Outlaw King is available on Netflix and on a small cinema release from Fri 9 Nov.